The University of Notre Dame will create new innovation and commercialization initiatives under a new entity to be known as the IDEA Center — standing for Innovation, Discovery and Enterprise Acceleration. To be located in Innovation Park, the center will provide technical services and expertise for idea development, technology translation, business formation and commercialization. The current Office of Technology Transfer and the staff of Innovation Park will be joined with several new initiatives to comprise the IDEA Center. The University has launched a search for a new vice president and associate provost for innovation. 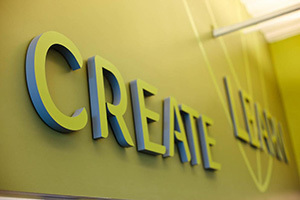 A distinctive element of the IDEA Center will be the development of Idea Champions, current and new staff members who will directly interface with University researchers, students and inventors to help guide a creative concept through the commercialization process by partnering with each of the other services within the center. The Idea Champions will serve as navigators for inventors through the complex world of intellectual property protection and licensing, and, in some cases, the inventor’s role within a startup company. The champions also will look across campus for ideas that may not be immediately recognizable for their commercial potential and help develop those ideas through proper channels. Technology Licensing Services, which will focus on the evaluation, protection and licensing of Notre Dame intellectual property. Venture Acceleration Services, which will provide service to startup ventures originating from the campus. Funding Coordination Services, which will provide early-stage funds to meritorious startups. Commercialization Facilities Services, which will manage Innovation Park and access to core research services support on campus for startup ventures. The Office of the Vice President and Associate Provost for Innovation, which will include business and administrative staff capable of handling transactions related to a commercialization organization, as well as an education liaison, who will coordinate internships and collaborate with relevant educational programs at Notre Dame, such as ESTEEM, the Intellectual Property Clinic, MBA programs, the Gigot Center for Entrepreneurship and more. The University hopes to have the vice president and associate provost in place in the coming months, at which point the various IDEA Center initiatives will begin to take shape. More information is available at ideacenter.nd.edu. Originally published by Dennis Brown at news.nd.edu on September 15, 2016.